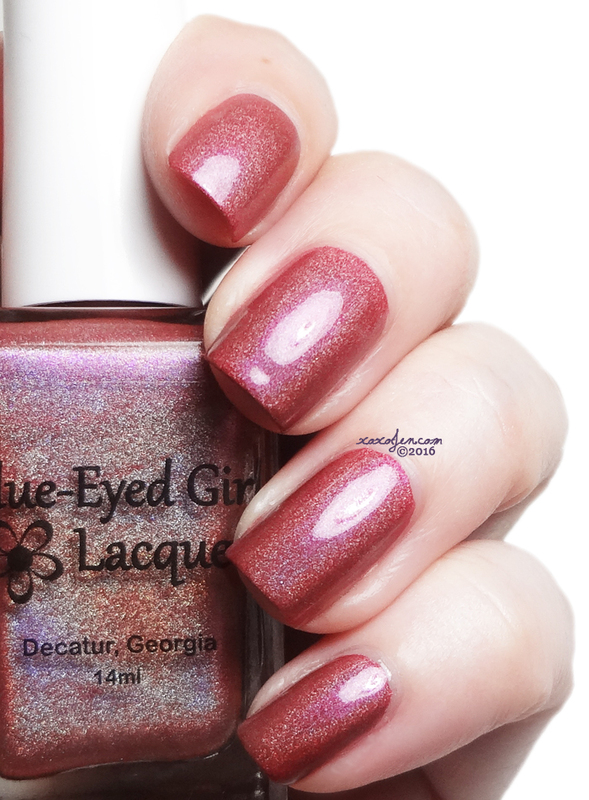 This month the Blue-Eyed Girl Lacquer Destination Polish Duo is a collaboration with Ever After. 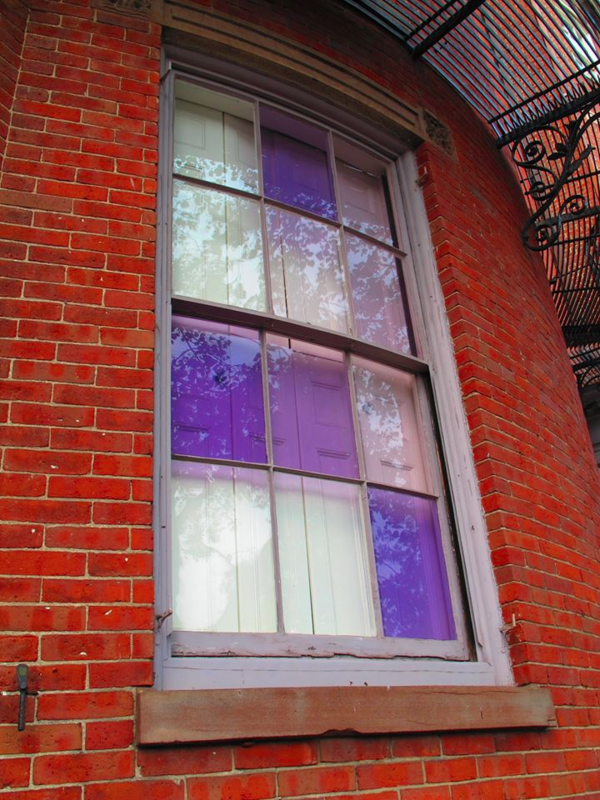 Their polishes were based on a photo that Julie took of the lavender windows on Beacon Hill while visiting Boston, MA. Blue-Blood Brownstone - Brick red linear holo with purple shimmers and a strong purple flash. I wore one coat with topcoat, the formula was smooth and easy to apply. 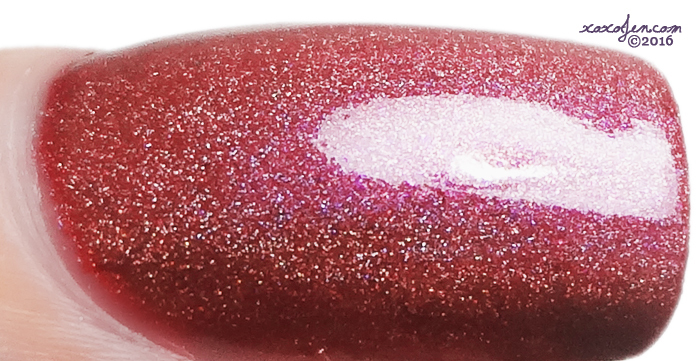 The Lavenders - A purple jelly with scatter holo, lavender holo glitter and red shimmer. I wore two coats with topcoat and love the squishy depth and red sparks that flash with movement. 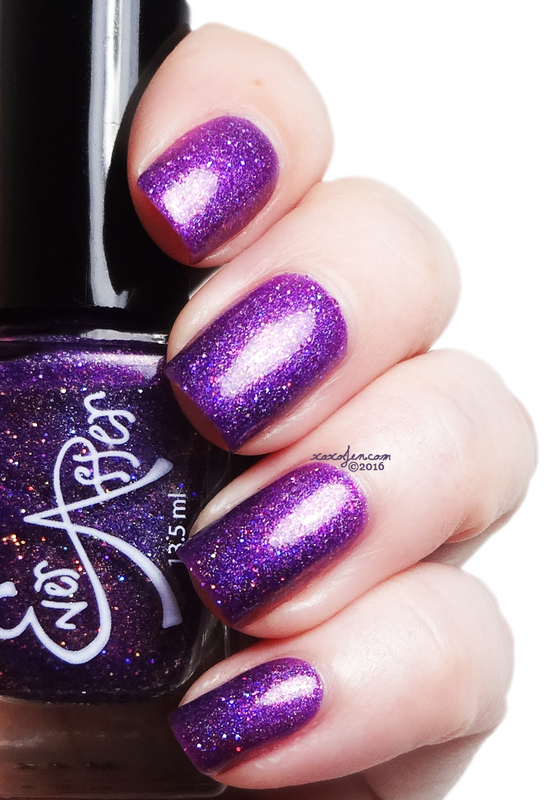 The duo will also include Ever After Cuticle Crelli in a lavender scent. It will be available for a limited time beginning tomorrow, February 25th through 29th at the Blue-Eyed Girl shop. The box will cost $25 shipped within the USA or $25 with a prorated shipping fee outside the USA. I love the inspiration photo and I think the polishes were really well executed. I hope you've enjoyed the review and will follow me for more! Unf!!! Thank you so much for sharing, Jen! Lovely photos as always! Thanks Julie! I enjoyed wearing these! Both colors are absolutely stunning! These are both so pretty, and your swatches are stunning! Both polishes are so beautiful and so are your swatches. <3 Blue-Blood Brownstone keeps calling to me. It's not normally a color I gravitate towards but I really like it a lot. Thank you! I felt the same way about that one, there's a calming tone it, no? These are amazing swatches! I quite like Brownstone! Isn't it though? I topped it with EdM Showdown after having worn it a few days and all I can say is wow! It added a new dimension to the shade. Beautiful! ! That purple is just gorge! Wowzers! You took the most beautiful macro of The Lavendars like no one else swatched it! The Lavenders is the one for me, I love a good purple like that.